No matter you are filling out your wardrobe wish list, hunting for something special, or just browsing the latest trend. 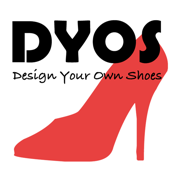 DYOS is the perfect way to get your shopping fix on the go. Experience the world of DYOS an enjoy access to exclusive features only available to DYOS application users. Be the first to know about upcoming promotions, news, and collections through this brand new DYOS application, and use the shop locator to find our shops that are close to you.